When a Irish chap asks’s you to film a short piece as the highlight video on a kickstarter campaign to promote his film that contradicts everything we know about a healthy diet, who would say no? We helped fine-tune the script, directed, shot and edited this short piece in the space of a morning. It was shot very simply with only a single light source, creating a contrasting look that emphasises the message that Donal had to share. Proving once again that content is king. 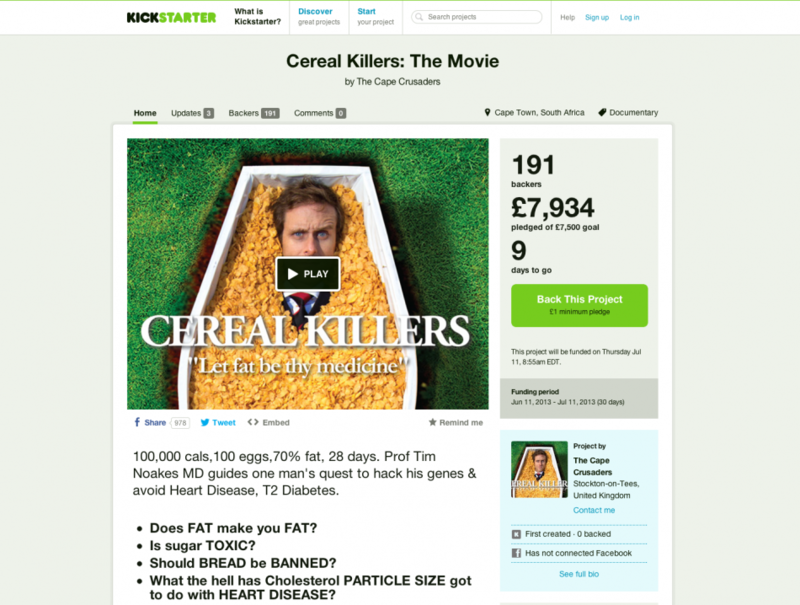 Donal’s movie is set to change the way we think about what we put in our bodies. It’s a wonderful feeling knowing that we have helped Donal achieve his goal and wish Cereal Killers a great journey as it filters through society, one cornflake at a time.